It’s the week of relationships here on Frugalwoods! On Monday we heard from Sam of Frugaling.org about his journey through frugality as a single guy. And on Wednesday, I shared the positive impact that frugality has had on my marriage to Mr. Frugalwoods. Today I want to discuss another type of relationship: the friendship! Mr. FW and me (on right) with hound and human friends. Best part is that this photo was taken by another wonderful friend! I’m the first to admit that being a counterculture frugal werido means it’s not necessarily easy to make friends through traditional avenues. But, it’s also not a recipe for loneliness. For Mr. FW and me, it’s all about forming bonds with people who support–or are understanding of–our choices, whether or not they’re frugal themselves. We have friends who are extremely frugal, moderately frugal, and not at all frugal, and we love them all. The common denominator with all of these friends is not their use of money–it’s their supportiveness and understanding. Not to mention their willingness to socialize with us at home and at free events :). Frugal and fancy cocktails made at home by our awesome friends E and P.
While we adore our frugal friends and the camaraderie that comes from hanging out with peeps who really and truly get us, we enjoy our more spendy friends just as much. They key for us is finding interesting, intelligent folks who respect what Mr. FW and I are trying to achieve through our aggressive savings rate. We don’t need friends who are carbon copies of us, we just need friends who are fine with our nontraditional path. Perhaps not surprisingly, we’ve found that often our friends are forging an unconventional path of their own. Encountering a diversity of opinions and world views isn’t a bad thing in our book and we’re thankful for friends who challenge us and who we can learn from. People who push us to spend or “live a little” as they put it (which, by the way, is a phrase I’ve never understood–pretty sure that having debt and an insecure financial future is in no way “living”) aren’t folks we hang out with for long. We’re not out to convert anyone, nor are we interested in being converted. We’re grateful for our friends who are down with the frugality and early retirement agenda, whether or not they ascribe to it themselves. That being said, there certainly is something uniquely special about friends who share your core values. 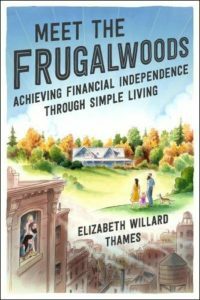 For more on that, I refer you to an excellent guest post here on Frugalwoods written by our friend, Mr. 1500 of 1500 Days To Freedom, titled Frugal Friends and Where to Find Them. Ironically enough, we’ve never actually met Mr. and Mrs. 1500 in person, yet we consider them close friends. Bonds forged over the internet are genuine and when you find people who are so incredibly compatible, it almost feels like an epiphany! More than just the “we’re not the only ones!” refrain of sheer joy, it’s an opportunity to learn and share ideas with other folks on a similar trajectory. Me (with pillow) and my new friend Cat! As I’ve mentioned previously, the ability for internet strangers to become real life friends is one of the most inspiring aspects of this community here on Frugalwoods. Last month we hosted someone we’d never met before at our house for the entire weekend–Cat from Budget Blonde, her husband, and their twins. It was a wonderful experience and one that we hope to repeat! While I appreciate a diversity of opinions, I do think there’s danger in surrounding oneself with people who are antagonistic, disrespectful, or downright rude about your frugality. I believe that our spending habits are impacted by the people we spend the most time with. And so, while I don’t think my friends should all be identically frugal to me, I also don’t seek out the company of frugality-bashers. It’s about putting myself in an environment in which I’ll thrive. This is honestly part of the reason why we’re so excited about moving to a homestead in Vermont. Cambridge is a fabulous place for art, culture, and excitement, but it’s also a place where a lot of money is spent on an alarmingly regular basis. Brunches, lunches, dinners, concerts, artisan doughnut shops, museums, artisan coffee shops, doggie boutiques–essentially every street is rife with opportunities to spend, spend, spend. Frugal Hound has friends too! I have no interest in hiding my frugality and I’m very frank with people about the ways in which Mr. FW and I choose to allocate our resources. Part of this stems from my desire not to be two-faced (which is also why I only speak the truth here on Frugalwoods) and part stems from the fact that I honestly don’t care what people think about me. Everyone is entitled their opinions and, at the end of the day, we all care vastly more about how we live our own lives than how someone else lives theirs. If you’re worried that people will judge you for your frugality, well, they might. But who cares? If you’re living the life that YOU want and are working towards goals that are meaningful to YOU, it really doesn’t matter what anyone else thinks about you. Free yourself and enjoy life on your own terms. And, as I’ve found, I bet you’ll find awesome friends who share, or at least respect, your honest pursuits. How have friendships impacted your finances? 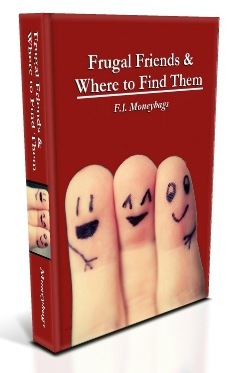 Do you seek out similarly frugal friends? I think the internet is definitely a wonderful place to meet fellow frugal folks–there seem to be a lot of us on here ;). And, I love that you’re upfront with people about your goals and plans. That always seems to make things go more smoothly when folks understand why we don’t want to spend our money. I’ll be your friend! No seriously, it is hard to find frugal friends. My partner is frugal and is a big inspiration but his good friends are spenders and my family, is a family of spenders. Any New England frugal folks out there ? 😉 Thank goodness for the internet. Having friends is an important part of being frugal. Sure, friends cost money in some ways. They might invite you out to dinner (and we’ll go but “pre-game” by eating dinner before & ordering something really cheap), or get married ( = gifts). But talking with friends is my favorite entertainment, and it’s free. They add happiness to your life that endless acquisition cannot. And good friends share: clothes, tools, books, movies, kitchen gadgets, labor, talents, babysitting, advice, and more. We have a lot of frugal synergy going with some of our friends. When we can’t “insource” something we just call a friend. Great point about the sharing and borrowing economy of frugal friends! That’s a priceless thing to have. We’re always happy to trade labor or tools–far better than paying someone! Agreed. There’s so much to gain by building relationships with other people. That’s wonderful that you’ve built up such a robust network! And, I find the same thing with gap bridging–we’re definitely closest to the people who are willing to do frugal and free stuff with us. Most of my friends are frugal to the same degree I am, or maybe a little less. (Okay, I guess I don’t know anyone else who saves their husband’s soda cans and bottles and returns them to the grocery store for their deposit back…) I have a few friends who spend more money than I do, but no one ever pushes me to spend more than I feel comfortable. That’s not a very friendly trait in my book! I don’t really seek out frugal friends. At least to date, that really hasn’t been an issue – I haven’t felt pressured into spending more money than I am comfortable with because of my friends. So according to this, people would value getting the cash value of the gift more than getting the gift itself. For me, I realized it is the exact opposite! If I get cash, then I’ll just treat it as income that I actually earned, and invest or spend it the same way that I do with the rest of my income. But when my mom gave me a nice leather jacket as a gift, I valued it at more than what she paid for it because I know that I could never justify it to myself if I bought it with my own money, even though I still want a nice leather jacket. So by buying it herself and then giving it to me, she has saved me from having to make that decision. And selling it to get cash to invest is really not an option because then my mother would probably be offended. So now I don’t really have any option other than to wear it! Hehe. That’s a very interesting observation about gifts–huh. I’m always really appreciative of practical gifts that I need and can use, but I suppose I never considered if I would value the cash amount more.. intriguing! Thanks for sharing! 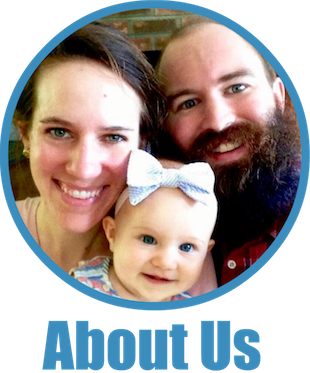 We don’t actively seek out frugal friends but we are extremely open about financial goals and how they play out in our day-to-day decision-making. As far as I know, we haven’t lost any friends because of it. My parents are pretty spendy so sometimes we feel the pressure from them to do things (like go to the big family reunion in Antigua this summer). They may not understand why we feel the need to be so financially conservative, but they are generally supportive. I will say though that we are relatively new to the frugal mindset and we aren’t nearly as frugal as frugal gets. Maybe that’s why we haven’t experienced any negatives so far. I’ve found that being able to have open discussions about money and finance with my friends and family has actually strengthened those relationships. I really enjoy having conversations about money with friends and family too, but I try to hold my tongue until they bring it up. I never want to offend anyone or cram my frugal ethos down their throats since everyone has different financial goals. But when we do talk about it, I agree with you, I think it does serve to strengthen the bond! We have a lot of friends who definitely aren’t big spenders, but who aren’t especially frugal. And yeah, a big problem with us is turning people down, or re-arranging plans to make them more frugal. When people invite us to dinner, we try to spin it and say “Well why don’t you come over for dinner?” I’m a little embarrassed to admit that we skipped a friend’s birthday party recently, mostly because it was at a restaurant, and we didn’t want to buy our dinners! We’ve had friends invite on vacation different times (cruises, renting a cottage) and we always have to turn them down. Which is sad, because I know it would be fun, but at this point, I can’t imagine taking a trip unless it’s very cheap, or free because of travel miles and points. We did go to Aruba for a week with Marge’s sister and her husband, and the air fare and hotel was completely free, but of course, I had planned that one. Cute doggy pic. Is that a doggy Christmas parade? We do the exact same thing with the dinner plans switcharoo–we’re always inviting people to come eat at our house :)! Fortunately, we’ve found that most of our friends are totally down with that and happy to reciprocate and have us over to their place. But, we’ve also turned down expensive outings–sometimes we just can’t stomach the cost. But Aruba with free airfare and hotel sounds divine! And yes, that photo is from the annual Greyhound Jingle Bell Walk on Boston Common. Happens every year in early December–tons of greyhounds on the Common :)! Those homemade cocktails look amazing! I too have a wide array of friends that range from more frugal than me, to what I consider to be extreme spenders. Sometimes I even enjoy spending time with the “extreme spenders” more than my fellow frugal friends. It’s refreshing to see a different perspective at times, and I actually find myself feeling more secure in my frugalness when I witness extreme spending, it reminds me why I live like I do. Agreed–good friends are good friends regardless of how they spend. And, that’s an interesting perspective on hanging out with more spendy friends. You’re totally right that it can be a helpful reminder of how awesome frugality really is! Our other dearest, oldest friends spent themselves into bankruptcy several years ago. Their idea of frugality is buying store-brand soda during lean months. We’re their oddball friends who come visit and want to WALK everywhere! But somehow we always seem to have plenty in common when we get together. I’m shocked that you have friends who are more frugal than you! That’s amazing! Haha, we always want to walk everywhere too ;). But, you’re very right that friendships can be had regardless of financial habits. I wish I had more frugal friends, but they seem hard to come by in Manhattan when the “norm” is spend spend spend. And just because you don’t share frugality with a friend doesn’t mean you cannot share a ton of other interests! I’ve got a lot of those friends. Totally agree–there are plenty of other levels to connect with people on. Yeah, NYC always does strike me as the spend, spend, spend capital! 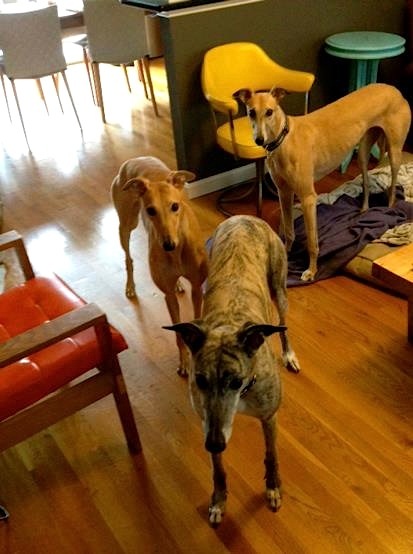 Love Frugal Hounds friends…we have one who is a brindle. We have a couple of frugal friends…one couple is eager to share and the other seems to keep it to themselves except to brag about the good deals they find. Each to their own…I just would like to learn more to save more. I love brindles–they’re just so cute! I really like the learning and sharing aspect of having frugal friends too. I find it really valuable to hear what other people are doing, which is part of what I love so much about having the blog. I get to learn from all of you! I agree with you that it’s hard to find frugal friends in the Boston area. I’ve been having some luck lately with inviting my non-frugal friends on free or low-cost activities well in advance. I find that if I invite them to go hiking (or some other free entertainment) two weeks from now or over for dinner at our house they are happy to do it and sometimes even reciprocate because we have so much fun. It’s the last minute invites that are expensive – “Hey we’re all going out for dinner and drinks after work on Friday, want to come?” I can’t always say no, especially when it’s someone’s birthday. But if I make frugal plans in advance the last minute plans are fewer and farther apart. I call it preemptive frugal planning! I also try to always suggest the restaurant if I do get trapped into going out. Cheap and healthy, with lots of good appetizers and salad options. Preemptive frugal planning is the best! I’ve definitely used that tactic as well. And, we really must find a time to get together since we live so close :)! The rude response to frugality is one I’ll never understand. Agreed. Baffles me every time. Maybe it’s jealousy? Who knows. Like you I have many friends on every level, but most who spend fairly freely…but, like you said as long as they support my lifestyle it’s OK and they can do whatever they want with their money. When I first made a drastic change in my life I lost a few friends. These were friends I was constantly inviting out for a beer or dinner and they would go and we would have fun, but they never seemed to reciprocate invites, so when I stopped going out for that stuff, they never bothered calling or wanting to hang out in any other way. I knew that might happened and accepted it, and what was left was a group of genuine people who I love and care about. Yeah, I’m of the live and let live camp as well. As long as people are OK with me not wanting to spend tons of money, I’m not going to judge how they spend theirs. That’s awesome that you’ve got a core group of people who you’re really close to–that’s a real gift. Finding frugal awesome friends is tough but awesome once you connect with them. I sort of turned one friend onto frugality. Now he’s all about hanging out at one of our houses, cooking enjoyable meals from scratch and trading services to save money. He’s a car guy, I get free brake jobs and tune ups; I’m a numbers guy, he gets free portfolio tune ups. He also works a rotating shift, so we hang out during the week a fair bit (which is awesome). A car guy is an excellent frugal friend to have! I really love the trading and swapping aspect of frugality. It just makes sense and it builds such great community. Totally agree on hanging out at home–I always think, we like our house, come over here :)! Now I just need to find a plumber, an electrician, a carpenter, a grocer, and a travel agent and make friends with them all. Levels of frugality don’t factor into my friendship making, but I do like to ask myself, “Does this person value things or my friendship more?” Honestly, there were a few people in my life who if given the choice would take a Chanel bag over a lifetime of friendship with me. That’s okay – we all make different choices, but my choice is to not surround myself with someone who values material goods over intellectual conversation and a smiling face. Sounds like a wise approach to me! I totally understand how online friends can be as real as the people who live next door. 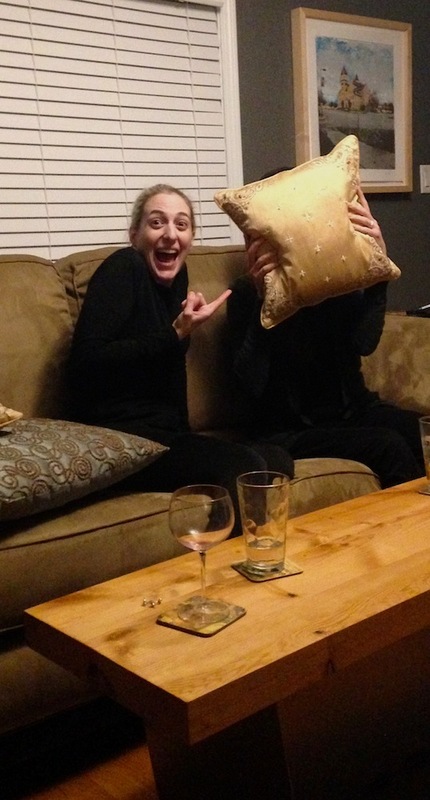 I had no qualms about letting two PF bloggers use our house while we were out of town. It might seem odd to most people to let someone you’ve only physically met briefly or not at all have free reign in your home, but I trust them more than some of the people I see all the time. That is a huge, wonderful bonus of finding the PF community! You make great points here. You don’t have to always have the same views on money and frugality (or anything else in life either) as your friends, but you do have to have respect for their ideas and opinions. Having something in common helps friendships, but you don’t have to have everything in common to be friends. 🙂 Have a great weekend!! That’s a good way of putting it–you don’t have to have everything in common. Very true :)! Another Vermont comment coming your way….let me know when you tire of them and I’ll shut-up! As I’ve noted previously, I was a city girl coming from a place where you needed to dress the part for your job, and I did just that! When I moved here, I started to realize very quickly that no one cares what label is on your jeans, your coat, your car, or whatever. In fact, I learned that there are actually many wealthy people here, living very modestly in farmhouses, heating with woodstoves, growing their own food, and living a pretty nice life. Appearances would show that they’re struggling financially….far from it! Here, people don’t want to call attention to their wealth. It has been quite liberating to let go of that status-seeking lifestyle and live with financial peace of mind…..which we’re still working on by the way! But, we’re getting there. I LOVE your Vermont comments! That’s exactly what my impression of the area is and I’m so glad to hear that its been your experience. “…living very modestly in farmhouses, heating with woodstoves, growing their own food..”–that truly sounds like heaven to me. I can’t wait! I think the biggest thing I’ve learned over the last few years while getting our financial act together is not to judge others no mater what their financial habits. I often bring up our success and see if they bite, and maybe I can help educate them a bit. There is obvious benefit with surround yourself with supportive friends, no matter how they handle heir own business. You usually don’t see a former addict of any kind hanging out with his buddies that are still involved with the addictive behaviors. That’s great that you’re able to motivate/teach your friends. And, I’m with you on not judging others for their money decisions–everyone’s on a different path with different goals. Haha, you are indeed right! And agreed on the difficulty of meeting friends as adults–it’s just harder without the common ground of college, etc. Frugal Hound has been a good way for us to meet people though, which has been nice! We’re lucky to have good friends around us who are pretty budget-conscious, if not exactly frugal. And in truth, we still splurge a little on food and drink from time to time — we count that as spending on experiences, not stuff. But in our community, hanging out at home is the norm, and we host game nights, backyard BBQs, badminton, Thanksgiving and more. You’re so right that this is super important! When I was really broke, I had friends who were relatively comfortable financially. But they were perfectly happy to hang out and watch TV together or get *a* drink at happy hour. But mainly hang out. We had a semi-monthly game night, which is a wonderfully frugal event. We’d invest in some chips and maybe cookies. But everyone else BYOB-ed, so we spent practically nothing. We don’t really have close friends now that we’re in Arizona. I miss that. But the people we did know play an expensive card game that Tim has since given up. And they play it constantly, so there’s never a good night to have people over. I have a friend who I see once in a blue moon, but she’s crazy busy. We see her mainly when she throws a party. Luckily, I have my Internet peeps. I start talking about my “friends” and realize that most of them I’ve either never met or only see at FinCon. It’s a new age, baby. My friends are moderately frugal. They prefer to get together at a less-expensive restaurant that has a coupon or promo, or to just cook a meal together at home. They coupon a little bit and don’t regularly spend excessively. That’s where the similarities end. We share enough of the same financial perspective to spend time together regularly and have a good time together. I do have friends that consistently want to eat at pricey places, but I think they’ve just started inviting me a little less! We’re still great friends, I just try to suggest more cookouts at home and stuff. Not judging is definitely key. Everyone has different goals and priorities and I know frugality isn’t for everyone :). That’s great that you have friends who are on the frugal end of the spectrum. We’ve found over the years as our perspectives/goals changed, so did our friends. May sound silly but some friendships we outgrew. They seemed to stay stuck in carefree 20’s and drifted away after we bought our first home and embraced adulthood. We had a hobby for 10 years that found us brand new friendships that didn’t survive after we stopped our involvement. I figure that’s fine, our core friends have been around 30+ years, I guess we are more like family in that we support each other no matter what is going on in our lives. That’s great that you’ve maintained friendships for over 30 years–what a wonderful blessing! Further thoughts on the friendship thing. Something that never occurred to us at 20 is that you truly do need a steady network of support, as you work your way through adulthood and life’s ups and downs. Right now your goal is financial security and a homestead dream and most of your present friends are there to encourage & advise. Who knows, 15 years from now you two may decide it’s time to move on and train to climb Mount Everest. Those folks supporting your dream today will wish you well, continue on with their lives, follow you for some time and then drift away. You’ll probably hang around with them for awhile too before you start to drift, and that’s okay. As you go along, you’ll have a new network of like minded mountaineering friends supporting you, while you train for that majestic climb. Thru all these changes, if you’ve one or two friends that stick with you & emotionally support you, no matter where life’s road takes you to and you do the same for them, well that’s priceless. I think it truly comes down to respecting people no matter who they are or where they are at. I have found myself at times judging people who are spendy and not minimalist because I do not get it and then I have to stop myself, their money, their life. I do expect the same however. I have very few truly frugal friends where we live. Our small town is all about spending, houses, cars, living outside means and we stick right out. One thing I have started doing in drawing people in with “frugal” events. I am hosting a book exchange in May and have hosted several clothing exchanges as well as potluck dinners. I invite my friends here for (good) coffee so they do no not need to go to the over priced coffee shops. Heck I even make vegan food to seal the deal. Like you we plan to move to a place where we can live more sustainably and this will happen this year. Getting closer to like minds will help. BTW- If you have not already read “Sacred Economy” you may enjoy that. I was able to get this brought into town from a larger library. Highly recommended. I love that you’re reeling them in with frugal events–that’s a great idea! And, that’s exciting that you’re planning a move to more sustainable living soon. I imagine you might find more like-minded folks in an area like that. Many thanks for the book recommendation, most appreciated! Over the past three years as my hubby and I have focused on a more frugal lifestyle, we have absolutely lost friends along the way, and quite frankly, I don’t miss them. Even though we lost friends, we have actually gained some great ones and the good thing is that the new friends we have made are more frugal minded like us so they are a welcome addition to our lives and our budgets. It’s wonderful that you’ve formed new friendships that support your frugal lifestyle. It really is great to have like-minded folks who understand what you’re trying to accomplish with your thriftiness. Very true! Frugality certainly does impact all areas of our lives. I think it’s all about finding the balance that’s tenable for each individual. A few years ago, a coworker told me that I was cheap. I told her that I was far from being cheap and that she was confusing my frugality with being cheap. Granted this is a person who chose to buy Christmas presents rather than to pay her mortgage, so I never should’ve cared of what she thought of me. I learned the hard way not to talk about money with coworkers or friends, for that matter. I choose to do many frugal things in order to afford things that I consider to be important to me. Things like having a paid for house, helping my Mom financially, paying for my sons’ college education, vacations and things to make my house look presentable and organize. Believe it or not, small sacrifices can make a difference in one’s finances and quality of life and it has paid off for our family in a big way. I decided that even though I will never discuss money matters with anyone, I will never be ashamed nor care about what people think of my frugality. I think it’s great that you’ve forged your own frugal path and figured out what works best for you and your family. And, I completely understand your stance of not discussing money with other people–many folks just don’t get the frugal agenda and can be downright rude about it. Kudos to you for not caring what other people think. You’ll be the wiser in the long run with your finances in order! Aside from family, friends are like precious gems we have to take care of. It seems like you have great people surrounding you, Frugalwoods. Yay! I surround myself with good and role model-like people. I really believe in the saying “tell me your friends are and I tell you who you are”. Good stuff. I can say for sure that this is one of the best gifts about the internet and blogging. We’re able to effectively make friends with people from all over the world, who are all like-minded and supportive of one another. I’ve found way more support virtually than I have in my real life. Maybe that’s sad or unfortunate, but I look at it like an incredible opportunity and gift. Without the internet/blogging, you would have never met up with Cat. Likewise, I’d never have so much support for what I’m doing without our wonderful technology. Well said! I agree with you that it’s an opportunity and a gift–it’s pretty amazing to build these connections without the barriers of geography! The internet is an amazing connection tool…look at all the comments to this post as a simple example. I’m pretty confident that if you got all of us in a room we would get along great with our cheap beer and night of board game fun! If you do have friends that are spendy, there are plenty of ways to pull them in to your lifestyle, especially if you are the one making all the plans. If you take the initiative and invite friends over to play games or have a coffee or go the park, or a free show or something, you control what happens. It’s really when you get invited places that you can or can not say ‘naaa….too expensive, lets do X instead’. I think we would indeed all get along and enjoy a board game night :)! Many thanks! I think I’ve just realized that it’s most fulfilling for me to live my life for me and not according to what other people think about me. It’s freeing! Your last paragraph was particularly striking for me, at the moment, as we embark on our own journey to financial freedom. I know I need constant reminders that it’s OK to be different as long as I’m happy and doing what I want to be doing. Thanks for all your great posts! It is totally OK to be different! No one else will ever care as much about our lives as we will–best to live them the way we want. Kudos to you for charting your own path! I wish I had more friends, period, frugal or spendy or in-between. The friends I do have tend to be frugal out of necessity. It is very hard to make friends at my age and in my area, especially since I do not have a car. If you don’t have a car in my area and don’t live in the city center, you are basically stuck or dependent on friends with cars for rides. It seems I do not have much in common with most of the people I meet. And people here are so driven by family that my childless and family-less self doesn’t have anything in common with them. I am a Christian but I am neither churchy or conservative, so that also counts me out of a lot of friendships. I do have on good pal around here and thank God she was home yesterday. I fell and cut up my lower left leg and almost bled out. I spent 3 hours in the ER and have almost 20 stitches on my shin area and am off work for a week or even more. Frugality will help here because of arcane state government rules, I can’t get short term disability to set in until 40 hours and I don’t have 40 hours to give them, so I”ll be out almost one week’s pay. If I am still out next week, the disability will kick in. AAAAAAAAARGH! OH my goodness Mel! I hope your leg is OK! That sounds like a terribly scary thing to have happen. What a blessing that your friend was around to help you! And, good luck with the disability–I really hope it’ll work out in your favor! Take care of yourself! It was indeed very fortunate that my friend was available! She was supposed to be at a fiber festival that day but stayed home because the weather was lousy. She said she didn’t want to hang around smelly sheep in the mud! Good news! I went to my PCP yesterday afternoon and he said my leg is healing way faster than expected! He removed the large wrap and now all I have are two huge bandaids! I go back to work next Monday. I will be out of 4.5 days salary but that is how the ball bounces. Fortunately I am a saver par excellence (not as frugal as y’all but usually I do sock away at least 25% of each paycheck!) so I have a decent emergency fund available. And it is only 4.5 days not months! AND FOLKS IT IS ONLY MONEY I AM MISSING OUT ON FOR ABOUT A WEEK! ONLY MONEY! MONEY I CAN GET MORE OF AND I AM FRUGAL(ISH) SO I WILL DO FINE! My leg will be fine and at my age (nearing standard retirement age) and with my other health concerns, that is the real blessing! I am a very fast healer which is a good thing given my propensity to freak accidents and odd illnesses. I could have gotten gangrene and lost my leg or it could have taken months to heal. As it is all I will have is a scar. I don’t worry about how it will look. Who cares? I will turn it into a tattoo or something. And no matter what I do I will still not be as beauteous as Frugal Hound, so alas, alak! LOL! Oh good! Glad to hear you’re on the mend!! Oooo a free minor in Personal Finance sounds fascinating! And, I hear ya on the bragging angle–it’s always an awkward balance and I never want people to think we’re bragging. Sometimes we just don’t talk about it at all, other times, it’s seamless to enter it into a conversation. It sounds wonderful to spend time with others who share your views on finance. But, to focus on the positive, at least the hubby and I have the same priorities. We often find ourselves mocking the financial choices of family, friends, and neighbors – not in a mean way, but more that we couldn’t imagine spending our money on the things and services they purchase. Definitely important to be on the same financial page as one’s partner! That’s wonderful that you two are so in sync! I don’t know a single person who is frugal, which can be hard. Coworkers used to invite me out all the time with them, but I don’t want to spend that kind of money on things like dinner or concerts. I’ve said no so much they rarely ask anymore. Same trouble trying to meet people through things like Meetup; they almost all do things that cost money. It’s hard finding ways to spend time with people when they don’t want to hang out at home or in a park, but want to “go out” somewhere. I’ve gotten used to being the weirdo. It is tough when people’s social activities revolve around spending money. 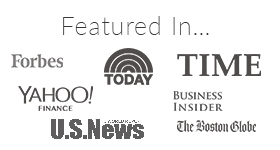 Are you on the Mr. Money Mustache Forums? There is a meet-up section there where people arrange gatherings by city and, since everyone is super frugal, it’s usually a picnic in a park or a potluck at someone’s house. You might check it out if you haven’t before. And, kudos to you for sticking to your frugal guns! I never realized how much the people around me were impacting my spending until I moved from NY to DC. My DC friends were naturally far more frugal, and I adopted many of the same habits. I honestly think these friends jump-started my frugality, not by a single thing they said, but by the way they lived. Now that I’m back in NY, I can’t believe how much some people spend on eating out/entertainment – and then turn around and complain about being broke!